The Infant of Prague is one of the best-known depictions of the Child Jesus. The design originated in a monastery in Bohemia and was intended to be a wedding gift. 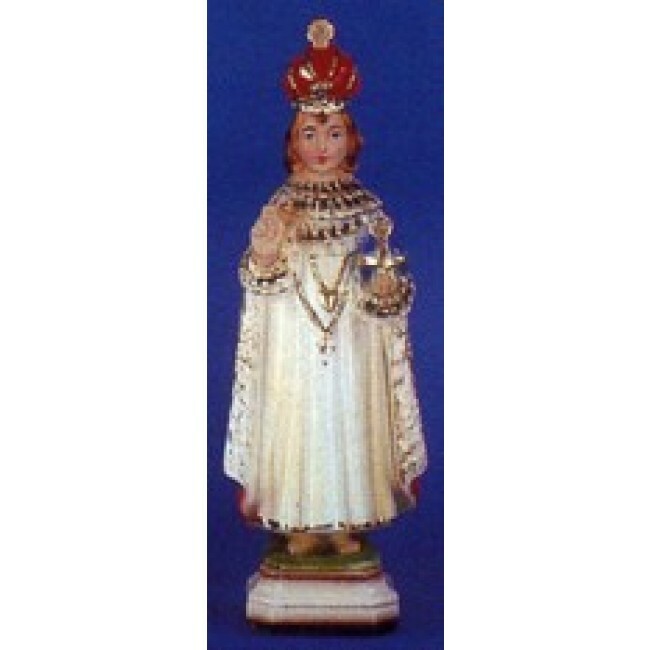 In 1628, the Infant of Prague statue was taken from the country when the Carmelites fled to escape the unrest in Prague. The Infant Jesus of Prague statue was found broken in 1638, but was able to be repaired. After the statue was repaired, people reported miracles that could be attributed to it. The Religious Art piece is beautifully detailed to mimic the original.